We're offering Rich's new book from Sub Press today. If you're in the CDCC you should have an email about it. The regular newsletter will be going out later. When Mr. Chizmar mentioned this one on Twitter I was hoping for a CDCC discount! Ordered, thanks! Anyone know the estimated page count for this one? 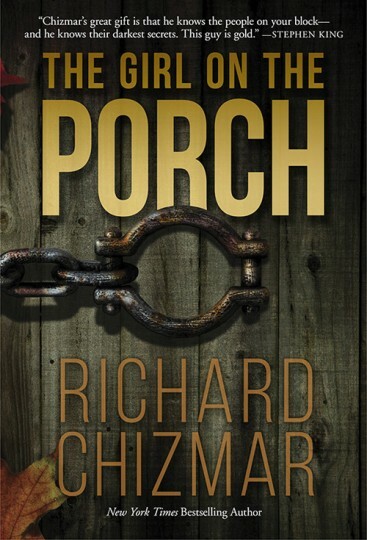 https://subterraneanpress.com/girl-on-the-porch (Click on Additional and it shows the information below). I ordered no e from Sub press. I figured with the free shipping they were offering it would be the same price as with a CDCC discount. I went with Sub with free shipping and them being pretty close to me I should get the book pretty quick after it starts shipping. Plus I haven't joined the CDCC yet.